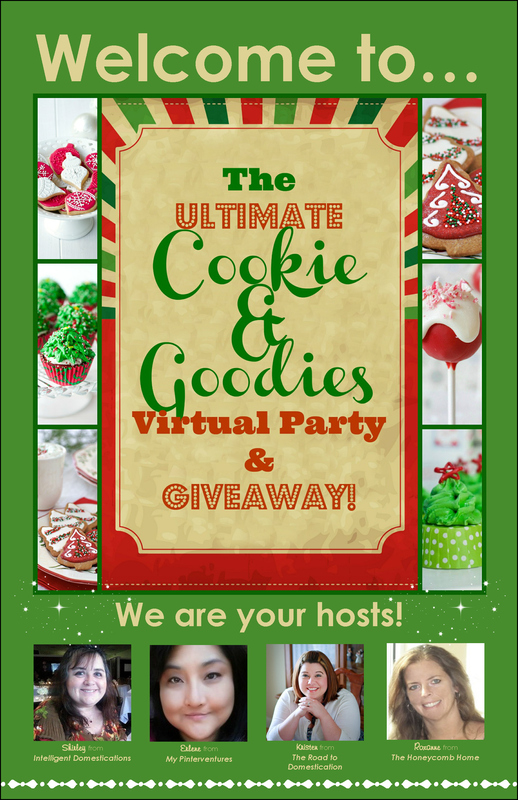 Welcome and come on in to the Ultimate Virtual Cookie & Goodies Party And Giveaway! We have been working hard behind the scenes to bring you the best and most fun virtual party you will attend this season! Over the next 13 days we want you to share your absolute Best Cookie and Goodie recipes with us! We also want you to share your Free Printable Holiday invitations, party décor and anything; Thanksgiving and Christmas themed which you have Free Printables for! No Round Ups, please. We will be Pinning all of your wonderful Recipes and Free Printables to our Ultimate Virtual Cookie & Goodies Party Pinterest Board. We will be hosting a Twitter party loaded with prizes! What would a party be without prizes?! Mark your calendar for November 11th at 8pm EST and go to TWUBS to pre-register, here. Prizes included in the Twitter party; 6 dozen eggs from NestFresh Eggs, The Picky Palate Cookbook from Marilyn’s Treats, Birch Lane Pillow cover Valued at $59, Set of 6 snowflake ornaments via SkyBlueFancy Etsy shop, “Baked with Love by” labels valued at $25 from The Road To Domestication and $20 e-gift card courtesy of your Hosts!!! All of our party Hosts and Co-Hosts have joined together to bring you a HUGE Paypal Cash prize in our party Giveaway along with some fabulous prizes brought to you by our Sponsors! 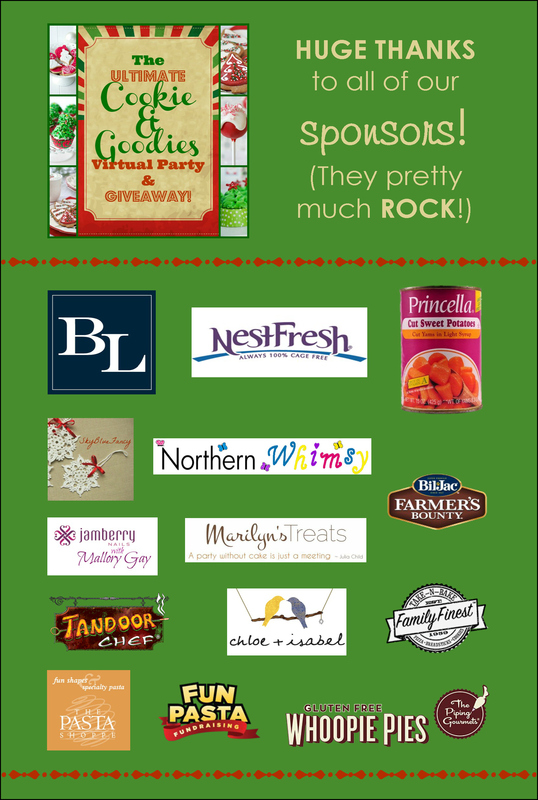 A Giant Thank You to all of our wonderful sponsors! Share you original posts for any winter holiday, especially Thanksgiving and Christmas. Recipes and Free Printable’s Please. No crafts. It’s all about the Cookies and Goodies! What a great idea to Follow everyone on the Rafflecopte. I have been clicking the blog links under the Hosts names to follow along and Retweet the party. So glad you are Co-Hosting with us! I love all of your goodies! Glad you stopped by the party! Now you will have some cookie recipes because we have plenty for you to try! 64 links, 1833 entries in less than 24 hours! Wohoo!!! It is a fun party already and just getting better! 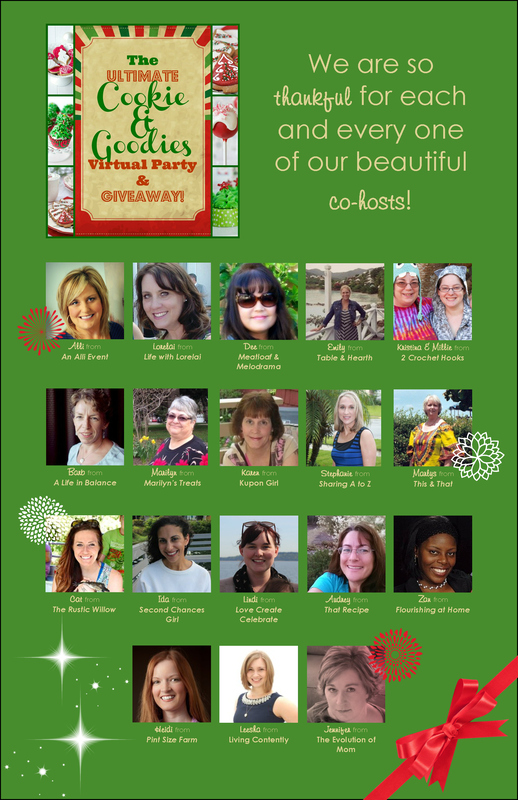 What a fabulous giveaway, wish I could enter! 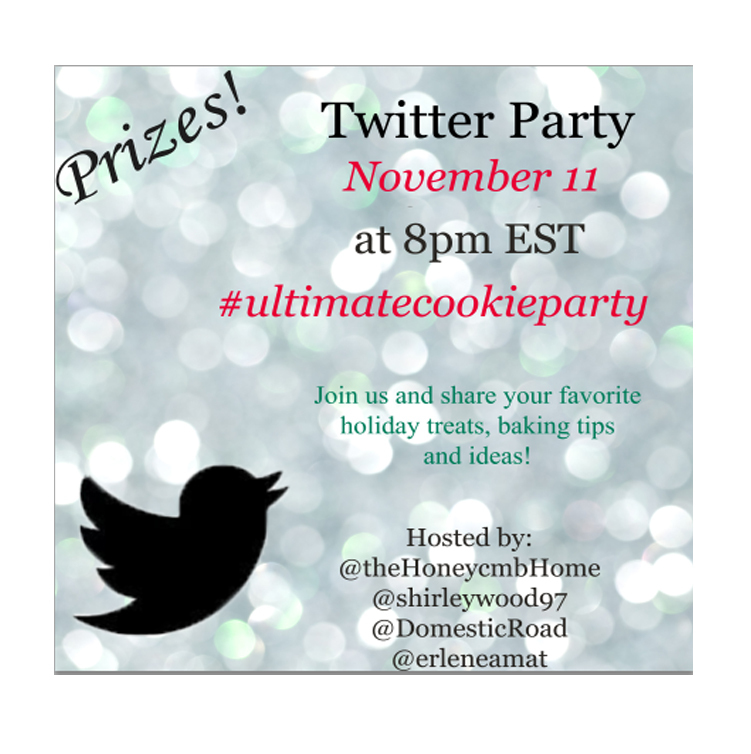 I’m excited to be co-hosting your virtual cookie party giveaway! Let the fun begin! Alli, we are so glad you joined the party with us as a Co-Host! There are already so many luscious looking recipes! I can’t wait to start reading them!